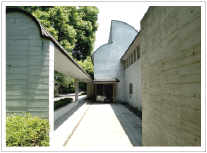 The Nakagawa Kazumasa Art Museum was founded in Manazuru, Kanagawa in March 1989 (the first year of the Heisei period), to honor the artist Nakagawa for his achievements in the Japanese art world. He donated his works to Manazuru town where he built a studio and spent many years creating paintings. 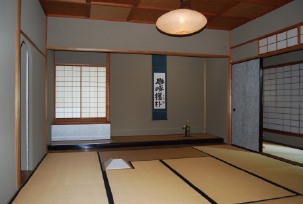 He received the Order of Culture for contributing to the Japanese art world as a leading painter for his entire career.The museum is located in the Manazuru Peninsula National Park, and there are five exhibition halls and a tea ceremony room surrounded by rich nature. This building won the Yoshida Isoya Award (architectural award) in 1990, and was designated as one of the Best 100 Public Buildings in 1998. 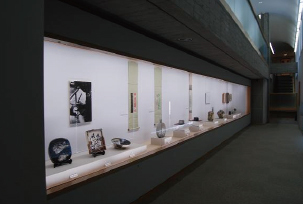 You can see a fully restored version of his studio in the Ohayasi View Park Building next to the museum.The museum exhibits about 80-90 of his art works, including oil paintings, mineral pigment paintings, calligraphy, ceramic wares, illustration, and book cover designing. Come visit us and feel his artistic spirit. ※Free admission for disabled visitors (ID required). 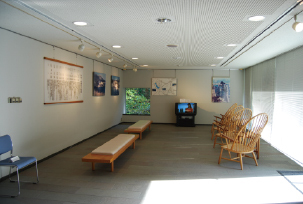 ※The museum is accessible to wheelchair users. ※Additional fee for special exhibitions. ※ Please refer to Information.